How to be a Pro at writing a Commit Message! 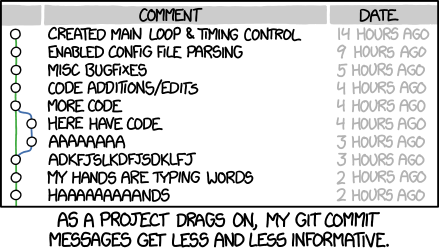 Chris Beams has a written an excellent article called How to Write a Git Commit Message on this. Following the above will make you a pro, in no time. Great advice! I love this article. Stumbled upon it a while ago as I was learning my way around git and git committing. Worth going back to it every once in a while. I’ll leave this link here.